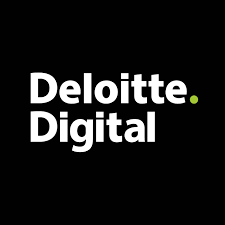 On Thursday, November 8, we shall be back at Deloitte Digital! Sign up early to this event, as it was very full last time we had an event there. We will have talks on Cybersecurity, VR, Machine Learning. New state-of-the-art Machine Learning models are developed every day that surpass human ability in one area or another. Many of them involve a data scientist or a machine learning researcher experimenting with new ideas or neural network architectures in an iterative manner. As more and more companies and individuals are experimenting with machine learning in their own domains, operationalising machine learning models and monitoring data pipelines are becoming critical. In this talk, we are going to explore the fundamentals of building a production-ready machine learning model and the steps needed to operationalising it. Bianca Furtuna is an Applied Machine Learning Scientist and is a very active member and contributor for Women Who Code London. She is passionate about all things data and using new and emerging technologies to deliver data focused solutions with Machine Learning and Artificial Intelligence. Previously, Bianca was a Data Scientist at Elastacloud, where she built multiple machine learning models for forecasting tasks in the energy sector. At the start of her career, Bianca was a Technical Evangelist, working with various organisations to help them improve or architect their cloud solutions and support them in implementing Machine Learning and analytics services. The dilemmas security professionals face and comparing it with the herd immunity, a form of indirect protection in infectious diseases. Wendy has over seven years of technical consulting experience, beginning as a network engineer and infrastructure architect before transitioning into security architecture. She has been as a trusted advisor to clients as part of a vendor, a managed service provider and tier-one consultancies. She has worked with clients in telecommunications, financial services and defence, and was part of multi-million-pound transformation programmes for clients in aerospace, banking and shipping. She trained as a scientist and completed her doctoral studies in analytical medical genetics at the University of Oxford. A bit of a technophile and keen collaborator, Wendy also shares her experience online through blogging. Bushra Burge is the creative director of award winning creative technology studio BB Studio. With a background in science and sustainable design, Bushra cultivates innovation within her multi-disciplinary team. BB Studio's recent projects include immersive stories using VR.